Background. In Europe and the United States, it is known that obesity, which is increasing, is closely associated with gastroesophageal reflux disease (GERD), but in Japan no definite consensus has been reached on this relationship. Clarification of the relationship between the two is an important issue. Methods. After screening, gastrointestinal endoscopic examinations were conducted on 1813 subjects who were surveyed using a questionnaire in which they recorded body weight, height, weight loss or gain, chief complaints, and underlying disease to prospectively examine the relationship between obesity and GERD. 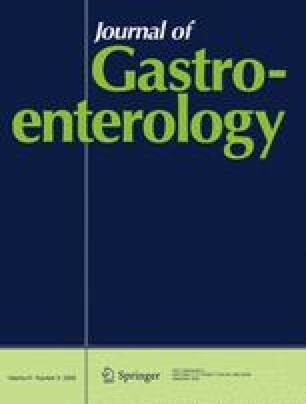 Differences in GERD prevalence and esophageal hiatal hernia prevalence in thin (body mass index less than 18.5 kg/m2), normal (18.5 to 25.0), and obese (greater than 25.0) subjects were examined, and the differences in GERD prevalence in patients with weight loss or gain were also investigated. Results. GERD prevalence was 20.96% in the thin group, 24.42% in the normal group, and 31.86% in the obese group, indicating a significantly higher prevalence in the obese group compared with the other groups. The prevalence of hernia was also significantly higher in the obese group. GERD prevalence in the weight gain group was significantly higher than in the unchanged weight group and weight loss group. Conclusions. Both GERD prevalence and the prevalence of hernia were significantly higher in obese subjects, and the prevalence of GERD in subjects who had gained weight was also significantly higher. From these results, it was concluded that obesity is a risk factor for GERD in Japan.